As we are now a little over a month into the new school year, it is easy to see that the 2013-2014 fiscal year was one of growth for California Lutheran University. It was a year during which we saw Ullman Commons move towards completion in the center of our Thousand Oaks campus. 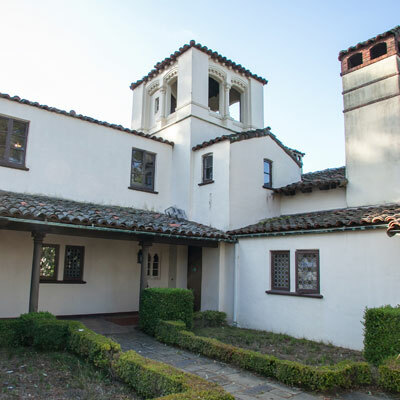 It was a year during which we merged with Pacific Lutheran Theological Seminary, expanding our reach geographically by adding a campus in Berkeley, as well as expanding our reach spiritually as we can now say Cal Lutheran is directly preparing the next generation of leaders for the church. It was a year during which our athletic teams soared to new heights within the NCAA’s Division III, with many teams setting records for their performances. It was a year during which we hired the most new faculty members in our history (we officially welcomed all 23 of them during our Opening Convocation right before the first day of fall semester classes). And finally, our 2014 Commencement was the capstone to many consecutive years of enrollment growth leading to the single-largest graduating class in our university’s history. And now as we prepare to welcome the first graduating classes of Cal Lutheran back to campus for their 50th reunion celebration—the first 50th reunion in our history!—it is even more remarkable to think of how much Cal Lutheran has grown since these pioneers made the bold decision to attend school at a small, unproven Lutheran college surrounded by ranch land. These pioneers planted the seeds that have been tended to and nurtured by every student, faculty member, administrator, staffer and friend of Cal Lutheran who helped us grow into the comprehensive university that we are today. I would like to take a brief moment to call your attention to the visual look of this report as well as the website it lives on—our University Marketing team, with the support of our Board of Regents, has established a new visual identity for us. As we forge ahead in our second half century and prepare to host more and more 50th reunions, I hope the new look signals that our future is bright, our vision is clear, and our commitment to students is as strong as ever. While change is never easy, I believe this updated look positions us well and I look forward to more and more people getting to know Cal Lutheran through the efforts of our marketing team. In 2012, Cal Lutheran established a five-year plan with five strategic goals. This report is designed to give you an overview of all the things that have happened at Cal Lutheran over the last year, the second of the strategic plan’s five years. It includes a summary of our 2013-2014 fiscal year and recognition of our generous supporters. While I have highlighted some specific ways in which we have grown over the last year, I am pleased to report that California Lutheran University is a place that will continually evolve and innovate. We will never take for granted those pioneers whose hands built something great from scratch. Thank you for your interest and your support. California Lutheran University did well financially during the fiscal year ending May 31, 2014. Total institutional assets increased to $309.1 million, up from $262.8 million in the previous year. Net assets (total assets less liabilities) increased to $215.3 million, up from $171.4 million, due to operating gains and the merger with Pacific Lutheran Theological Seminary (PLTS). Due to exceptional operating performance and investment returns, revenue exceeded expenses by $24.7 million. The merger with PLTS contributed $19.2 million to net assets. Total revenues and gains are $123.5 million, up from $109.2 million in the previous fiscal year. Operating revenue increased to $107.9 million from $101.9 million in the prior year, while non-operating revenue was up to $15.6 million from $7.3 million in the prior year primarily due to the fluctuations in the value of the endowment, one large endowment contribution and two large capital project contributions. Expenses increased to $98.8 million for the fiscal year, up from $91.8 million. Total assets increased by $46.3 million, liabilities increased by $2.5 million, and net assets increased by $43.9 million. Cash increased to $48.2 million, from $42.2 million. Contributions receivable increased to $7.2 million, from $3.8 million. During the year, the value of the University’s endowment increased by $24.5 million to $86.2 million largely due to the merger with PLTS of $11.9 million, market value changes on endowment assets of $5.8 million and new gifts of $5.1 million. The University’s Property, Plant and Equipment increased to $126.6 million, from $122.9 million in the previous year, primarily due to the addition of PLTS assets at fair market value offset by depreciation. The University is grateful to all of our 2013–2014 donors for sharing in California Lutheran University’s mission and success. For additional information about the University’s audited financial statements, please visit Office of the President’s website. In May 2012, California Lutheran University’s Board of Regents approved a Five-Year Strategic Plan comprised of five overall goals in support of our mission. Each year, members of the senior leadership develop annual goals in order to support these Five-Year Plan goals. Below you will see our five overall goals and a sampling of efforts completed or achievements related to them during the 2013-2014 fiscal and academic year. Guide students to discover and live their purpose with real-world learning experiences, excellent academic and career mentoring, and a campus environment that promotes inclusion. Cal Lutheran was awarded a two-year $50,000 grant from the Network for Vocation in Undergraduate Education (NetVUE), an arm of the Council of Independent Colleges, in January 2013. A committee was formed to determine how to best utilize these funds and the first of two staff and faculty retreats on vocation was held in June 2013. Seventeen staff and faculty participated in workshops, group discussion and self-reflection at El Camino Pines in Frazier Park, California. This group went on to implement a variety of projects throughout the school year with the support of mini-grants. Projects were designed to encourage vocational exploration among students and staff and included focused discussions on vocation at monthly administrative assistant lunches and creation of a booklet of short personal narratives on vocation at Cal Lutheran. Our Office of University Ministries continued to implement and support Interfaith programs, with the hiring of Rabbi Belle Michael and hosting Catholic Seminarians during the spring semester. Rabbi Michael supports our Jewish students and fosters spiritual growth and kinship with members of Hillel. During the school year, she hosted weekly services of healing and blessings and also led an interfaith study of the Psalms. The Catholic Seminarians led a Candlemas celebration, hosted weekly events for students and held a monthly Catholic mass throughout the spring semester. In August 2013, the interfaith efforts of our students were recognized with the award for Best Overall Campaign by the Interfaith Youth Core for the development of the Interfaith Allies student group, organization of monthly “Come Together Now” dinners, and other activities designed to make Cal Lutheran a welcoming place for those of all faiths. Our 8th Annual Festival of Scholars held April 28 to May 3, 2014 showcased more than 300 scholarly projects created by undergraduate and graduate students from the College of Arts and Sciences, Graduate School of Education, Graduate School of Psychology and School of Management. This year’s event included a multidisciplinary session titled Center for Academic Service Learning: Service Learning Across the Disciplines. Faculty authors and grant recipients were also honored during a new special event. The President’s Diversity Council awarded ten mini-grants to faculty members for a variety of inclusion and diversity projects. Work supported by these grants included: an event with a female mathematician guest speaker to encourage more women to pursue graduate studies in mathematics; religion faculty attendance at a conference focused on best practices for interfaith studies; and faculty research on the academic resilience of Latino youth. Our Career Services office conducted its annual survey of Cal Lutheran graduates. Results for the class of 2013 indicated that at nine months after graduation, 98% of traditional undergraduate respondents were either working or attending graduate school (75% response rate). 58% of the class of 2014 reported participation in an internship or earned academic credit for an internship during their time at Cal Lutheran. 37% reported that they did multiple internships. Students got a taste of the “real world” working at a variety of companies such as the American Lung Association, Baxter, CBS Studios, Intel Corporation, Kaiser Permanente, the Los Angeles Clippers, UBS Wealth Management and the Ventura County District Attorney. Cal Lutheran, along with more than 240 other U.S. colleges, joined the Institute of International Education’s “Generation Study Abroad” initiative, pledging to increase the number of students who study abroad by 50% before the end of the decade. According to the institute, about 10% of students who graduate with associate or bachelor’s degrees have studied abroad. Cal Lutheran is already a leader in this area with 27% of the class of 2014 having enjoyed a study abroad experience. Members of the class of 2014 studied in 32 countries across six continents, including Argentina, China, Greece, Namibia, Sweden and Thailand. Continue to set high institutional academic standards with distinguished faculty who embody and embrace diversity and with widely respected academic programs. We enhanced our Graduate programs with the launch of a Graduate School of Psychology which houses our master’s and doctoral programs in psychology. We also conducted a search for and hired the first dean for this new graduate school. Rick Holigrocki began work at Cal Lutheran on August 1, 2014. Our merger with Pacific Lutheran Theological Seminary met all necessary approvals and became official on January 1, 2014. The Rev. Karen Bloomquist was appointed dean and chief administrative officer of the Berkeley-based seminary and started in that role on January 6, 2014. For the second year in a row, our MBA in Financial Planning Program was named as one of the top 30 Great Schools for Financial Planning by Financial Planning magazine. 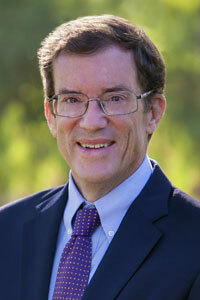 Fourteen new faculty members were welcomed to Cal Lutheran at the start of the 2013 academic year. Our faculty is committed to serving our students as both educators and researchers with one-on-one education in our small classes (16:1 on average) while also leading the way in their respective fields. California Lutheran University’s faculty received nearly $500,000 in grants and contracts in 2013–2014. Learn more about our distinguished faculty. Diane Rodriguez-Kiino, an assistant professor in our Graduate School of Education, was selected to receive a Fulbright Scholar grant to teach at the University of Tokyo and Tsuda College in Japan during the 2014–2015 academic year. Demonstrative of the strength and achievements of our faculty, Professor Joan Wines, Ph.D. from our English Department was selected to receive the 2014 President’s Award for Teaching Excellence. Support student achievement across all programs with equitable treatment for all students, by enhancing student services, and by utilizing the most pedagogically appropriate delivery methods for student learning. We enhanced our distance learning infrastructure with the appointment of a Director of Distance Learning and the hiring of two Instructional Designers, who are now available to assist faculty in designing online and hybrid courses. Our retention rate for our traditional undergraduate population proved to be strong for the 2013 first time freshmen, with an 83% retention rate between fall 2013 and fall 2014. U.S. News & World Report named Cal Lutheran one of the Best Colleges for Veterans, ranking us fourth among regional universities in the West. In order to be ranked, schools must be certified for the GI Bill and participate in the Yellow Ribbon Program and Servicemembers Opportunity Consortium. Cal Lutheran strengthened its focus on services for veteran students with the hiring of Jenn Zimmerman, the university’s first veterans coordinator. Zimmerman organizes events for veteran students and helps veterans with enrollment, financial aid and academic issues. Build and modernize sustainable facilities for an environment that sustains social, cultural and intellectual activity while respecting and protecting the planet. A main Dining Commons an increased variety of made-to-order items prepared by chefs in open stations on the dining room floor. Options include a deli, Mongolia grill, wood-fire pizza oven and dedicated vegan station. Invested in a new VoIP (Voice over Internet Protocol) telephone system, replacing a 20 year old phone switchboard and more than 700 phones at our main campus and across all locations. The VoIP system allows for flexibility in providing telephone services to some 1,100 devices and in meeting the growth needs of the organization. 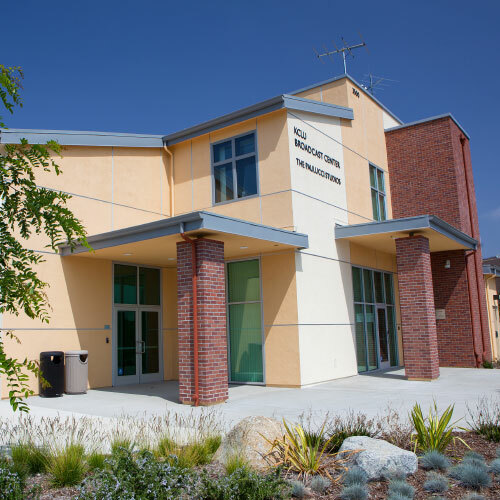 Information Technology services were improved for students and staff during the 2013–2014 school year, with additional bandwidth at the Thousand Oaks campus and improved WiFi coverage for our Thousand Oaks campus, Woodland Hills Center and Oxnard Center. Improvements to classroom facilities included replacement of desktop computers in electronic classrooms, upgrades to computer labs in the Humanities and D buildings. New open computer pods were installed in the Swenson Center and lobby of the Gilbert Sports and Fitness Center for student drop-in use. In March, a Zero Waste program was rolled out across our Thousand Oaks campus. In order to encourage the creation of less waste and an increase in recycling, standard three gallon wastebaskets in all offices and workspaces were replaced with smaller desktop trash cans. Office occupants now bring trash items to centrally located trash bins in all areas of campus, leaving the housekeeping staff able to collect recyclable items only in staff and faculty offices. In January, we entered into a lease for new classroom and office space in Westlake Village, California. We remodeled the space to meet our needs and included a variety of sustainable features such as bicycle storage, shower facilities for bicycle commuters, and extensive use of outside lighting. While the building improvements happened during the 2013–2014 fiscal year, services and personnel moved in over the summer. Our Westlake Center is now home to a Community Counseling Center, staff and faculty from the Entrepreneurship program in our School of Management, and a small business incubator dubbed the Huddle Campus. In an effort to conserve water, throughout the year, significant grassy areas on campus have been replaced with drought-tolerant landscaping. Areas revamped include the space behind the Pearson Library and much of the area between the Pederson and Hansen Administration Buildings. Enhanced information security and back-up plan with the installation of replicated servers in a collocation facility outside of California. This will mean improved recovery time for critical information technology services in the event of a natural disaster or major system failure. As a result of our January 2014 merger, we integrated information technology services between PLTS’ Berkeley campus and the Thousand Oaks campus, resulting in cross-campus information sharing and greater efficiency. In line with Cal Lutheran’s document imaging project, all paper transcripts held at PLTS were scanned into electronic form. Attract students of high ideals and promise by enhancing regional and national awareness of CLU’s mission, by raising the profiles of students who are drawn to our mission, and by offering new programs and scholarships to attract these students. The university hosted a variety of cultural and educational events on- and off-campus to raise awareness about Cal Lutheran, its mission, and its stellar programs and students. In addition to popular annual events — such as the Corporate Leaders Breakfast Series, the Mathews Leadership Forum and Hats & High Tea — Cal Lutheran also hosted its first Arts and Culture Symposium. Cal Lutheran organized and hosted The Representational Art Conference for the second time in March 2014. More than 300 artists, critics, academics, collectors and curators attended the international conference held in Ventura, California and also paid a visit to our Thousand Oaks campus to view artwork on display in the William Rolland Gallery of Fine Art and the Kwan Fong Gallery of Art and Culture. In July 2013, our Office of Church Relations worked with faculty and staff from our School of Management to offer a “Mini MBA” for pastors. 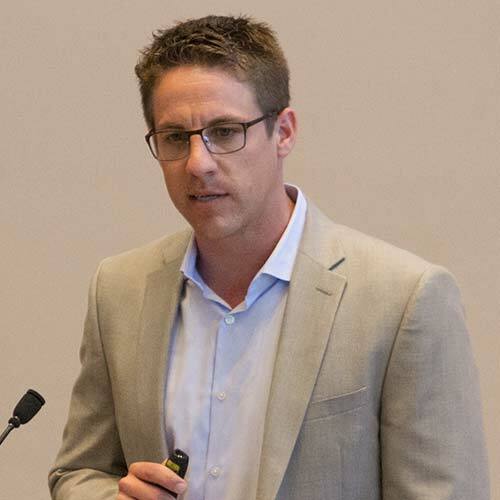 This continuing education event held over the course of five days on our Thousand Oaks campus covered principles of organizational leadership not typically taught in seminaries including finance, marketing, technology and strategic direction. Our public radio station, KCLU, expanded its reach up the Central Coast in June 2013 when it began broadcasting to northern Santa Barbara County and San Luis Obispo County. It also hosted the popular Story Corps van in Thousand Oaks and Santa Barbara in fall 2013, recording and cataloging the personal and often moving stories of area residents. 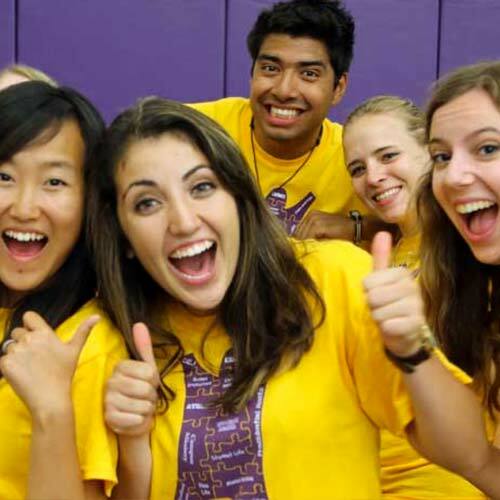 In addition to annual events such as Fall and Spring Into CLU, Admitted Students Day, and the CLUtheran Overnight for prospective students and newly-admitted students, in 2014, the All-Access program for admitted students was introduced. All-Access Events provide admitted students the benefit of partially subsidized travel costs to get to campus to enjoy a personalized visit with a tour, Q&A with current students and a meal with other admitted students. Five new scholarships were established in the 2013–2014 fiscal year to provide funding for students studying a variety of subjects including education, youth and family ministry, and biochemistry. In August 2013, we hired a Director of International Admission in order maintain and increase the diversity of our international student body. During the 2013–2014 school year, he traveled to more than 15 countries where he represented Cal Lutheran at college fairs, organized workshops and presentations for college counselors and parents, and met with alumni. With funding from a Ventura County Community Foundation grant, Cal Lutheran launched the Veterans Entrepreneurship Institute in January 2014. The pilot program gathered 20 area veterans for a series of 10 three-hour Saturday workshops designed to help them gain the skills and confidence to advance their careers or start and lead their own businesses. Cal Lutheran received $4.2 million for scholarships from the John Manken Family Trust, the single-largest estate gift in our history. This $4.2 million will support endowed scholarships for students seeking teaching credentials or majoring in math, physics or religion. June 2013 KCLU extends north by signing on in Santa Maria on 89.7 and in San Luis Obispo at 92.1. 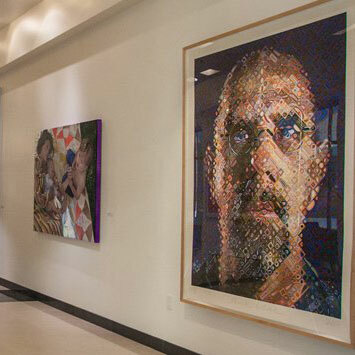 July 2013 Resonating Images II, an exhibition of contemporary artwork featuring works by Picasso and Warhol opens in the William Rolland Gallery of Fine Art. September 2013 Former Cal Lutheran faculty member, the Rev. 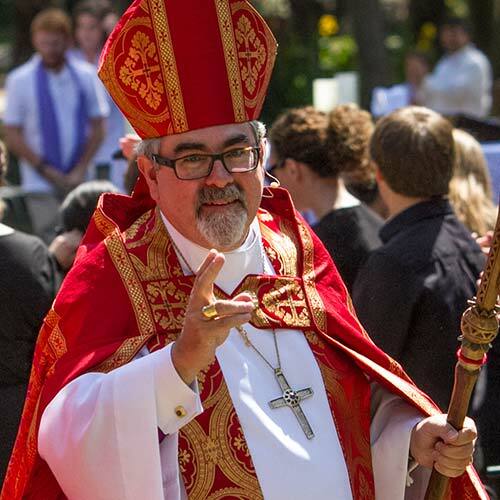 Guy Erwin is installed as bishop of the Southwest California Synod of the ELCA. 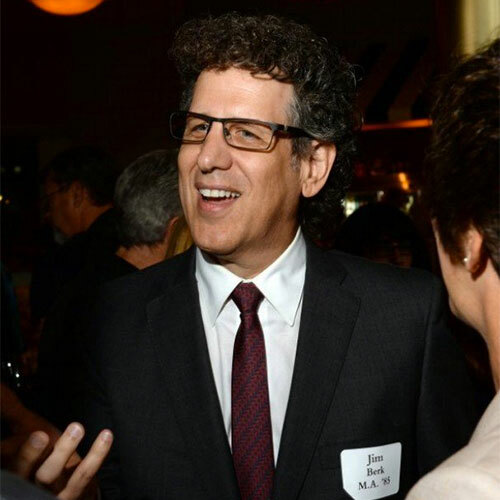 October 2013 Jim Berk, chief executive officer of Participant Media, is presented the 2013 Outstanding Alumni Award. 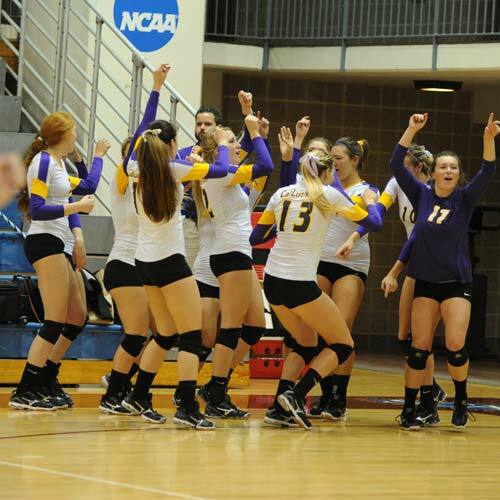 November 2013 Regals Volleyball finishes their record-breaking season as the national runner-up. 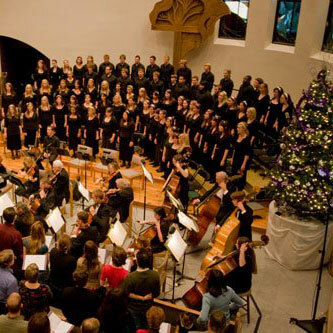 December 2013 Cal Lutheran’s annual Christmas Festival Concerts once again draw standing room only crowds to Samuelson Chapel. January 2014 The merger of California Lutheran University and Pacific Lutheran Theological Seminary (PLTS) becomes official. 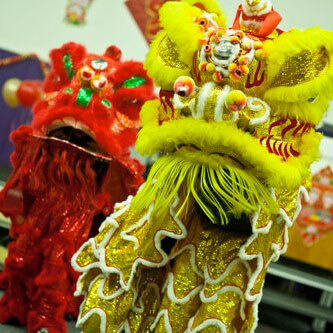 February 2014 Cal Lutheran celebrates the year of the wood horse with its popular Chinese New Year event. 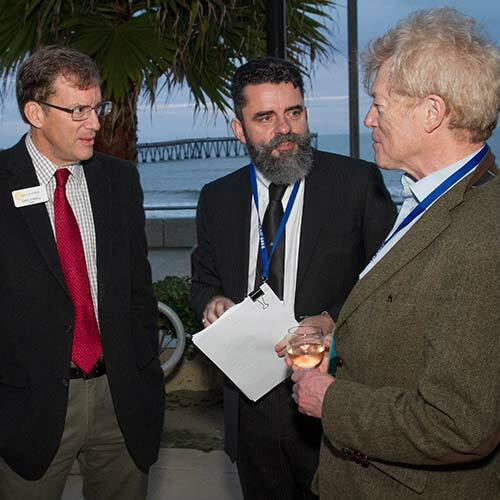 March 2014 Cal Lutheran hosts the second international conference about representational art (TRAC) in Ventura, California. April 2014 During the annual Honors Day Convocation, Evan White ’06 is presented with the 2014 Outstanding Young Alumni Award. 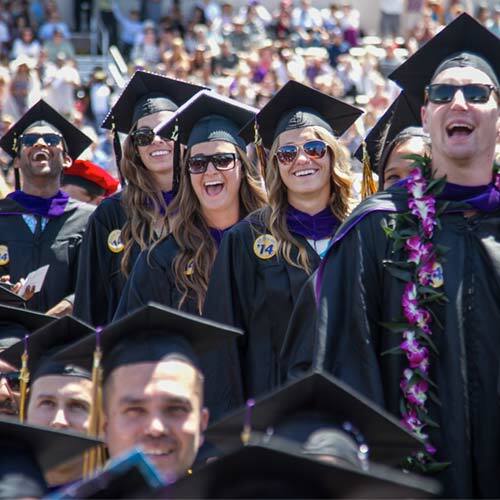 May 2014 Cal Lutheran graduates its single-largest class in university history, awarding more than 1,400 bachelor’s, master’s and doctorate degrees. Below find a list of all those who generously supported Cal Lutheran during its 2013-2014 fiscal year divided into our Honor Roll, new members of the Orville Dahl Society, Gifts-in-Kind, and Matching Partners. Calvary Chapel of the Ojai Valley, Inc. The Orville Dahl Society recognizes those supporters who have incorporated Cal Lutheran in their estate giving. The society is named for our first president and honors Dr. Dahl’s lifelong work in establishing the future growth of the university. Listed below are those who joined the Orville Dahl Society during the 2013-2014 fiscal year.